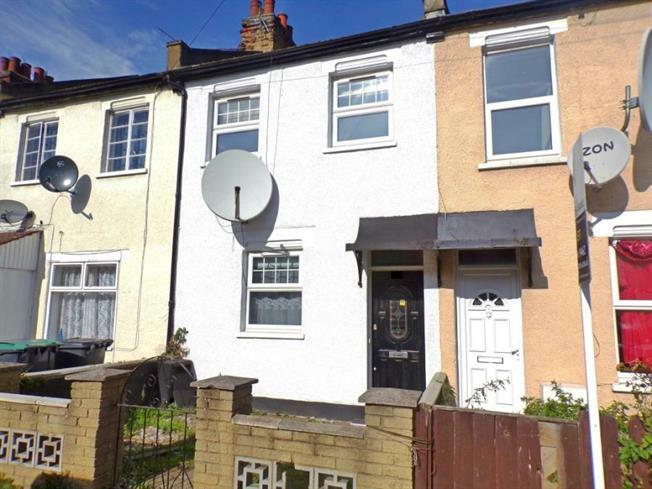 2 Bedroom Terraced House For Sale in London for Offers Over £400,000. Benefits include freehold, two bedrooms, double reception rooms, loft room, double glazing (where stated), gas central heating (untested by Bairstow Eves), no onward chain. Double glazed window facing the rear overlooking the garden. Tiled flooring. Granite effect work surface, fitted units, stainless steel sink. Radiator, laminate flooring, access to kitchen. Tiled floor, panelled bath, pedestal sink, low level WC.